Adobe has been taking quite a bashing from Linux supporters of late. First, there was the issue of them dropping AIR for Linux and then came the bashing because of the lack of updates on the experimental 64-bit Flash Player for Linux. Well, guess what! They have just released Flash Player 11 and it includes native 64-bit support for Linux as well. 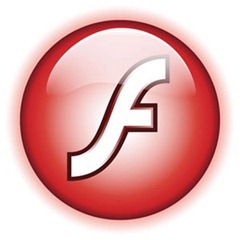 When they discontinued their experimental 64-bit Flash Player earlier this year, Adobe promised to release a 64-bit version of Flash Player for Linux when they release the next major version. They have kept that promise. Some are reporting that with Flash Player 11, the performance has improved. While some others are saying that the performance is the same as Flash Player 10. On my laptop running Ubuntu 11.04 64-bit, Flash videos seems to be running smoother after updating to Flash Player 11. However, I did not do a proper test and cannot say for sure if it the performance has definitely improved or not. To install Flash Player 11 in Ubuntu 11.04, please refer to this article. You can read the complete details of the new features in Flash Player 11 here.